My compositions are now widely performed by choirs around the world and several choirs have included recordings of my works on their CD releases.. The CDs listed below are those that I am aware of that include one or more recordings of my compositions. No offence is intended to those other choirs who have included recordings on their CDs, but whose titles do not appear below. If you would like to contact me and provide the relevant details, I would be most pleased to include them in the listing. 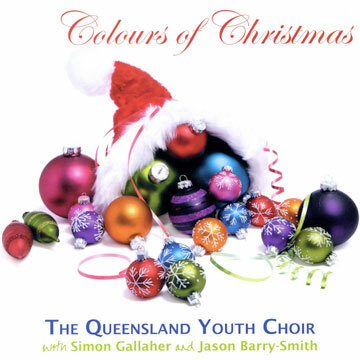 The recording artists include The Queensland Youth/Show Choir (Australia), Canticum Chamber Choir (Australia), Klemetti Institute Female Choir (Finland), Redbridge Music School (London), Cambrian Youth Choir (Australia), Ensemble Vocal Ganymede (Canada), Bella Voce Women’s Choir of Vermont, Canto con Fuoco (The Netherlands), Merikosken Laulu (Finland), Oslo Vocalis (Norway), Las Cantates (New Mexico) and Chorus Iuvenalis (Finland). I hope you can take the time to browse through these recordings. Perhaps amongst the many titles you may come across something to add to your own repertoire. Enjoy! This recording was conceptualised as a promotion of new Australian music. 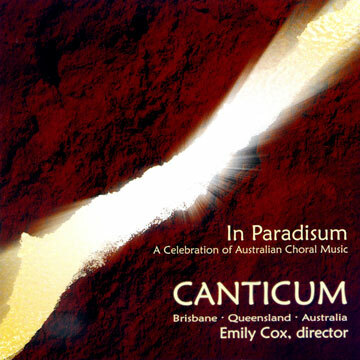 It is an eclectic mix of works by Australian composers and arrangers that were commissioned by, or written especially for the choir; that were arranged specifically for the recording; or that had not previously been widely recorded in Australia. 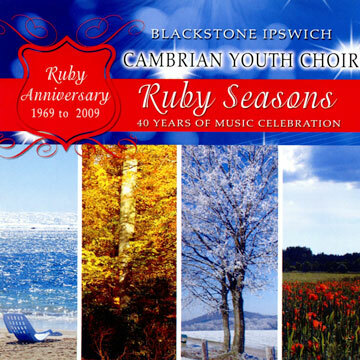 This CD was produced in 2009 to mark the 30th anniversary of the Cambrian Youth Choir, one of several ensembles that make up the Blackstone-Ipswich Cambrian Choir. The choir was founded in 1969 by Blodwyn Whitehead OAM who continued with the choir until 1996. It was Blodwyn who provided the foundation of Welsh musical culture and world-renowned reputation that is still with the choir today. Web: The Blackstone-Ipswich Cambrian Choir Inc.
Canticum Chamber Choir is an independent semi-professional chamber choir based in Brisbane, Australia. It was formed in 1995 with Emily Cox as its founding Music Director. The choir performs a diverse repertoire from the renaissance and baroque periods through to music of the late 20th century and contemporary composers, and has been proud to premiere many works. In 2005 Canticum was selected to be a guest choir at the 7th World Symposium on Choral Music held in Kyoto, Japan. The collective ensembles of the Queensland Youth Choir have had a long history of performing Christmas carols and songs at a significant number of events and venues across the city of Brisbane. This recording brings together a collection of some of their Yuletide favourites. 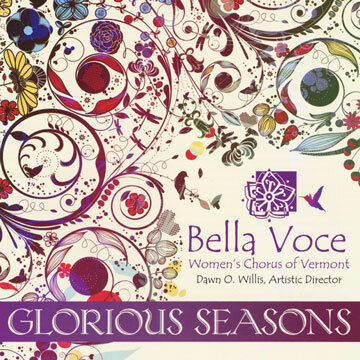 This CD has selections from every season including Spring and Summer from Gustav Holst’s Two Eastern Pictures with harp; Daniel Hall’s haunting Indian Summer with piano and oboe; and a variety of Christmas pieces including Randol Alan Bass’ Christmas Flourish and Gloria for women’s voices, brass quintet, organ, and percussion. Glorious Seasons also contains several unaccompanied pieces by Australian composer, Sandra Milliken. 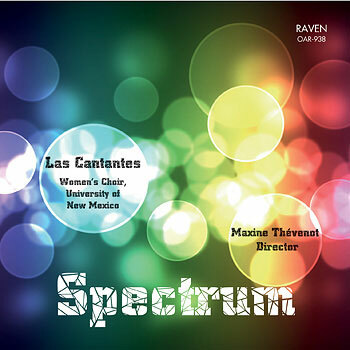 Las Cantantes, the only collegiate women’s choir in the State of New Mexico since 2007, is directed by Dr. Maxine Thévenot. This group is comprised of 18 singers who are selected via audition. This ensemble studies, rehearses and performs the finest literature written for treble voices. The ensemble is, at times, accompanied by other instruments such as the harp, percussion, piano, and pipe organ. Wheaton College Women’s Chorale maintains a busy concert schedule on campus and beyond. 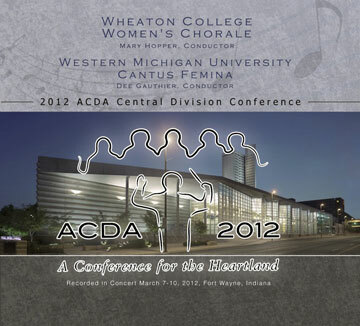 In addition to ministry in churches around the nation and campus appearances, the Women’s Chorale has appeared in recent years at both regional and national conventions of the American Choral Directors Association (ACDA). Cantus Femina is Western Michigan University’s premiere women’s chorus and each year performs at WMU and in surrounding communities. Cantus Femina sings a wide variety of literature and takes pride in singing newly written contemporary works. Established in 1965, WomenSing draws members from the San Francisco Bay Area. Singing with a vibrant and beautifully blended sound, WomenSing programs include both the traditional and the unexpected, featuring great landmarks of the treble repertoire, seldom-performed works, new music, commissions from nationally recognized composers, and familiar music from all eras. The choir has performed throughout Europe, Asia, Latin and South America, Canada and the United States. 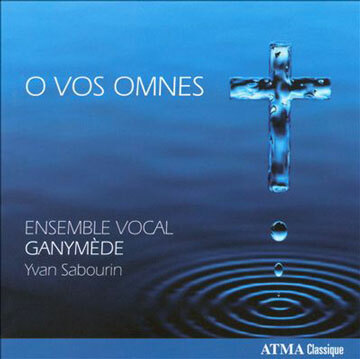 The Ensemble Vocal Ganymède, whose members come mainly but not exclusively from the Montréal gay community was created in 1991 by Yvan Sabourin, its current music director. The choir’s mission is to present the classical male-voice repertoire; the better to raise awareness of this music and to provide an image of openness and respect. 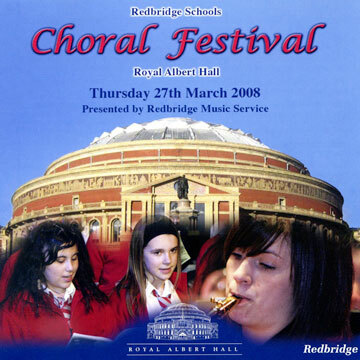 The 17th Redbridge Schools Choral Festival took place at Royal Albert Hall on 27 March 2008. A massed choir from 43 primary schools and 16 secondary schools (over 1800 singers) took part in the Festival with the Redbridge Music School Symphony Orchestra. 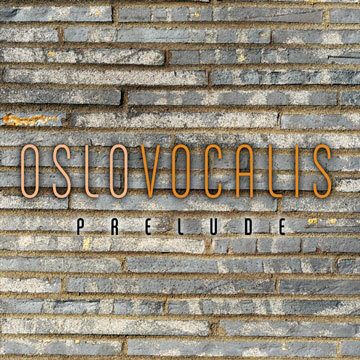 Oslo Vocalis was formed in 1988 and is comprised of 25 female singers. It has already had great success in both national and international choir competitions, including Arezzo, Sligo and Athens. The choir performs all over Europe with repertoire ranging from jazz, to folk and church music. ‘Prelude’ presents a collection of some of the most beautiful and inspiring works for choir. The music on tise disc features works by major figures like Grieg, Fauré, Holst, and Tveitt, as well as pieces by several lesser known but significant composers, including Ola Gjeillo, György Orbán and the Australian composer and conductor Sandra Milliken. Canto con Fuoco, founded in 1983, is a small women’s vocal ensemble from Geleen in the Netherlands. They perform a wide repertoire of secular and sacred music, in different languages, ranging in period from Renaissance to contemporary. Their name means “singing with fire”, which fits perfectly with their music spirit. The group often sings a cappella, but also with instrumental accompaniment. 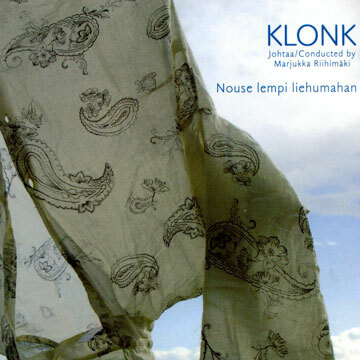 KLONK comprises approximately 30 active singers who gather each summer from all over Finland to spend a week doing vocal exercises, rehearsing a new program and spending some quality time in excellent company at the Klemetti Institute in the Lake District. During the year KLONK tours two or three cities with its new program, giving splendid concerts before coming together again in the next summer. The Merikosken Laulu ladies choir, was established in 1947 and today it is home to more than 50 singers. The choir and its various ensembles perform at, and participate in, music events and festivals throughout Finland as well as abroad.Their conductor since 2001 has been Marita Pasanen, is a versatile professional musician – conductor, composer and a classic singing teacher. 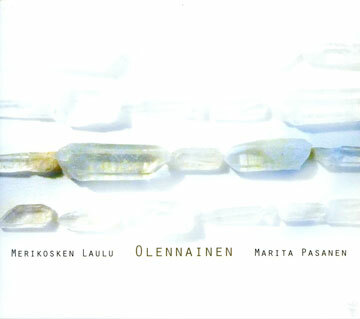 Merikosken Laulu has released three recordings. 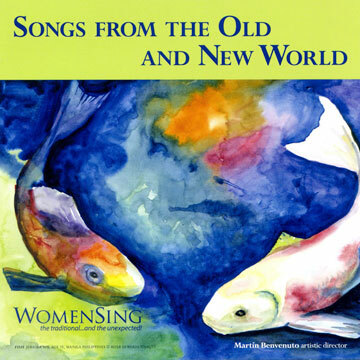 The most recent, ”Olennainen”, was recorded in 2008 – a spiritual record where women of different ages come together with a passion, energy and love of singing. Puolalanmäki Senior High School in Turku, Finland, offers students a comprehensive view and good knowledge of music. Choirs have always been the heart of the school’s music education program. 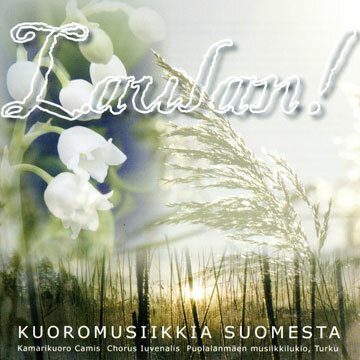 On this CD, the choirs present a collection of familiar and unknown, new and old, peaceful and hilarious choral music from Finland! There are musical images that can be found in every Finn’s soul – images of woods, trees, lakes, starlight, longing, stillness, power, dartboards and potatoes.